Posted on August 31st 2009 at 7:57pm	 in Dinosaurs, Miniatures. 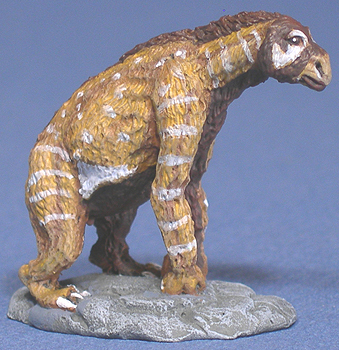 Mega Miniatures have enhanced their extensive range of animal miniatures with some prehistoric mammals – a Doedicurus, a Diprotodon and best of all a Chalicotherium. 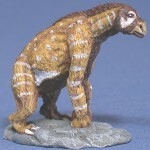 I’ve been fascinated by Chalicotheres ever since I saw them on Walking with Beasts but up to now the only miniature representation has been the 1/72 scale David Krentz version, which whilst a better sculpt is small and pricey. So big kudos to Mega for bringing one of my favourite animals to life. Posted on January 18th 2009 at 10:30pm	 in Dinosaurs. Who says you can’t polish a turd?